It's Complicated. So Get Creative. In an increasingly complicated world, creativity might be the one thing that sets you apart and makes your business shine. The forecast for the future is that internet video will account for 79 percent of global internet traffic by 2020. 79 percent. That’s huge! Which means it’s going to take a lot for you to cut-through in that digital landscape. To get your video noticed. If you’re going to stand out in that ever-increasing crowd, you need to do something special. Something unique. Knowing what it is that you do differently and better than everyone else has been what has made your business successful. But to showcase that, in a way that truly reflects who you are, isn’t easy. There is no one-size fits all way to explain a concept, introduce an idea, or get your message out there. There are a million options, you just need to find the one that is most in sync with you. If you are not sure about all the video options (maybe you think infographics might suit your needs, or you want a talking head but with a difference), we’d be more than happy to help you sketch out your ideas. After all, sketching is what we do. 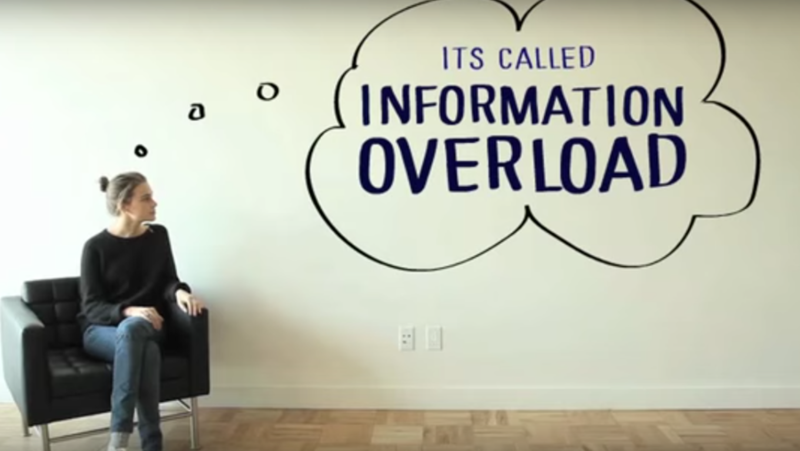 It’s a super video about information overload/ multitasking/ unplugging and the content is truly fascinating. 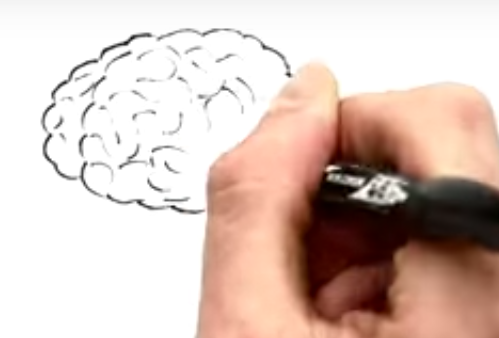 Watching a video about why we need to watch less videos is a mind spinner. 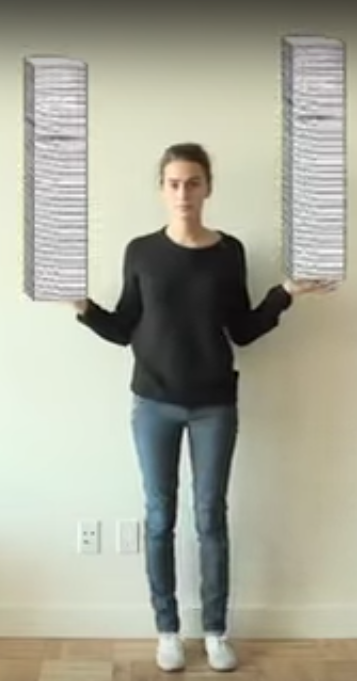 Equally as fascinating is the way the video is presented. The creators take the notion of sketch and combine it with live vision in a way that grabs your attention, twists your mind and makes you smile. And we all know about the benefits of smiling. At Sketch Videos, we warmly embrace creativity and challenges and would LOVE to make something like this for the right client. If you are that client, then let’s talk and make something memorable together. Generally, before a project comes to us at Sketch Video HQ, there’s been a lot of internal brainstorming at the clients very own HQ. A lot of questions about what and why and who and how. We are always thrilled when the creativity of clients leads them to us. Because then we get to build on our client’s creativity and add lashings of our own. But how best to brainstorm? There’s a great article by Art Markman that has telling insight into what works in brainstorming sessions. And what doesn’t. Simply put, the first person to speak to the topic in a traditional brainstorming session sets the tone for the entire meeting. So the group focus around that first idea, which is often a narrow, singular view that doesn’t even begin to harness the potential in the room. Do some work BEFORE you get everyone in the same room. That way you get people to think about the problem separately and come up ideas before your group works together to create the ultimate solution (divergence before convergence, if you will). And that's a modern brainstorm. Until next time, here's hoping that the shortest month of the year is jam-packed with productivity and positivity. We'll be busy graphic recording, filming, editing, creating and of course, sketching.